Outdoor living is accentuated with extended covered patio, built-in BBQ, and a relaxing feeling of privacy. MLS#2051647. BHHS Nevada Properties. 1st Flr Mini Master, 2 Casitas with Full Baths, Stunning outdoor living, refreshing pool, relaxing spa, crtyrd f/p, golf & mtn views. MLS#2051508. BHHS Nevada Properties. The master bedroom has a doorway leading to the covered patio with mountain views. Enjoy the SCA lifestyle! MLS#2051827. Windermere Anthem Hills. Solera At Anthem - WOW*Gorgeous Very Popular Franklin Model in Exclusive SOLERA Age Restricted Community*Premium Elevated Lot with Mountain Views*Custom Flooring*Granite Slab Counters*Stainless Appliances*Shutters*2Tone Paint*StackStone Front Exterior*Professional Landscaping*Custom Pavers Driveway*Iron Security Front Gate*Fridge,Washer+Dryer Included*Builtin Cabinets+Ceiling Racks in Garage* Water Softner*Dbl Sinks*Covered Patio*Solar Screens*Buyer2Verify All Info MLS#2051011. LIFE Realty. 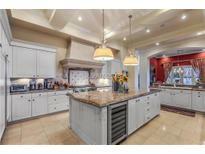 Provence Country Club - Close to schools, parks and Sloan. WILL NOT LAST!! ! MLS#2050985. Coldwell Banker Premier. Provence Country Club - House is move in ready and is just a short walk away from the park and the highly rated elementary school. MLS#2050803. AMaxima Realty and Property Ma. Coventry Homes At Anthem - The backyard has fruit trees, a fire pit & built in BBQ grill & there is a front courtyard. MLS#2050289. O48 Realty. Enjoy Sun City Anthems impressive amenities including community pool, tennis courts, fitness center and much more. MLS#2050024. Doss Realty Group LLC. Sun City Anthem - All this and priced to sell! Don't wait! MLS#2049847. BHHS Nevada Properties. Provence Country Club - Backyard upgrades include huge jetted spa, extra tall block walls & solid gate add privacy, extra spacious covered patio & recessed lighting for entertaining family & friends all year long! MLS#2049868. Windermere Anthem Inspirada. 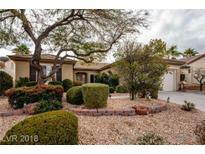 Earlstone Estates At Anthem - This lovely home is also at the end of a cul-de-sac & backs up to a greenbelt jogging path next to wide open free range BLM (Govmt) land. Elegance & Nature at its best! MLS#2049655. Coldwell Banker Premier. Sun City Anthem - 55+ Community-delaware Model-granite Kitchen Counters-tile Flooring-ceiling Fans T/O-carpet In Bedrooms-built-in Cabinets In The Garage-polywood Shutters-covered Patio-great House W/Abundance Of Fruit Trees In Backyard-apple-pear-pomegranate-citrus. MLS#2044939. Barrett & Co, Inc.
Sun City Anthem - Come live the lifestyle that Sun City has to offer: three recreation/fitness centers, swimming pools, spas, two golf courses, 13 tennis courts, walking trails, MLS#2044756. 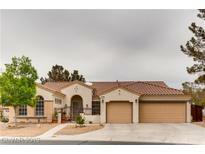 Realty ONE Group, Inc.
Sun City Anthem - A one-of-a-kind home in the gated community. A Must see! MLS#2043360. Realty ONE Group, Inc.
Sun City Anthem - Visit https://my.matterport.com/show/?m=wPvwkNtiRNn for 3D tour. MLS#2042432. Global Realty & Management. Solera At Anthem - All appliances included along with beautiful hutch in dining area. MLS#2044040. Windermere Anthem Inspirada. 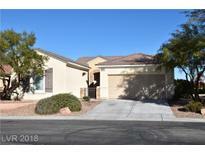 Sun City Anthem - Backyard w/ extended covered patio! Must see! MLS#2043680. Windermere Anthem Hills. Solera At Anthem - D0 NOT let this opportunity pass you by! MLS#2043462. Monticello Realty LLC. Other Features Include Theatre Room, Elevator, Crestron System, Wine Room, Pool & Spa + More MLS#2041933. LUXE Estates & Lifestyles LLC. Buyer Incentive Up To $25,000 For New Paint & Carpet MLS#2040808. BHHS Nevada Properties. Provence Country Club - Raised Spa w/ water spills to this amazing pool cap this off! MLS#2040515. JMS Properties.